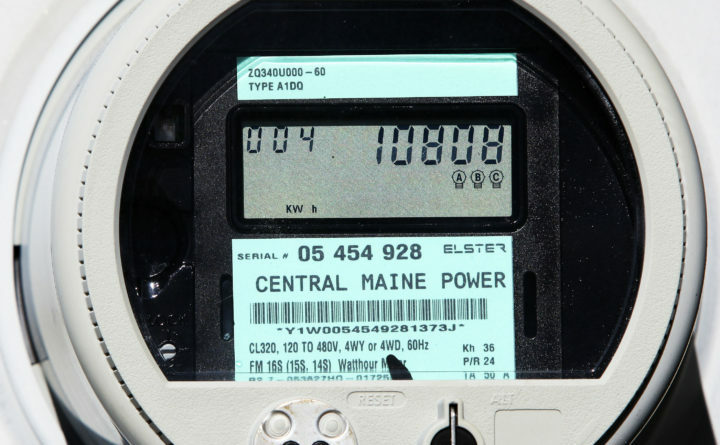 A Central Maine Power "smart meter" displays electricity usage at a business in Freeport. The Public Utilities Commission on Feb. 27 said it would look into customer complaints of high bills and slow customer service by CMP. The Maine Public Utilities Commission said Tuesday it would look into customer complaints about skyrocketing bills and poor service by Central Maine Power. The regulatory agency will start by gathering information about CMP’s metering, billing and customer communications. In the so-called “summary investigation,” it will collect data on whether all issues with CMP’s new billing system have been identified and whether the utility is responding to and resolving customer calls reasonably. If the PUC finds systemic or continuing problems, it may open a formal investigation. PUC Chairman Mark Vannoy and Commissioners R. Bruce Williamson and Randall Davis met Tuesday to consider whether to investigate CMP after the PUC received at least 100 customer complaints since January. Customers complained that CMP bills increased unexpectedly, in some cases by hundreds of dollars, and they had no luck getting an explanation from CMP. The PUC cited CMP’s new billing system, launched as Maine was hit with the historic October wind storm, a cold snap and electricity supply price increases as possible reasons for the high bills. “The weekend chosen for the cutover [for the new billing system] was set weeks or months in advance. And as we know that weekend coincidentally brought the largest power outage in Maine in two decades and within a few more weeks the longest spell of cold in central and southern Maine in a long time,” Williamson said. He said problems surfaced as bills were sent out. Williamson said he was led to believe that because the new billing system is based on the same software used by two sister utility companies of CMP, its chances of success were improved. But the new billing system was different enough to raise questions about the accuracy of meters and their communications with the billing system. He said if the billing system is inaccurate, company revenues also will be impacted, which is information the PUC needs when it discusses taxes. Vannoy said CMP and the commission’s Consumer Assistance Division already have resolved many of the complaints. All the smart meters it has checked so far have been accurate. However, if the PUC discovers any system issues, he said it would direct CMP to give credits to all customers affected, whether or not they filed a complaint. When news of the PUC’s planned meeting became public on Feb. 23, a CMP spokesperson said the utility is aware of the complaints and is acting to answer questions and rectify instances where customers might have been charged too much. If there are any billing errors, she said, CMP will refund any difference and provide a credit of up to $10 under its customer service guarantee.